Previous studies on coordination in OSS projects have studied explicit communication. 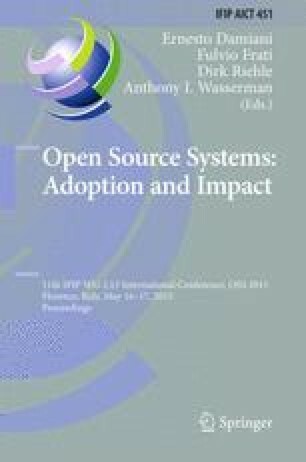 Research has theorized on the existence of coordination without direct communication or implicit coordination in OSS projects, suggesting that it contributes to their success. However, due to the intangible nature of implicit coordination, no studies have confirmed these theories. We describe how implicit coordination can now be measured in modern collaborative development environments. Through a case study of a popular OSS GitHub-hosted project, we report on how and why features that support implicit coordination are used.